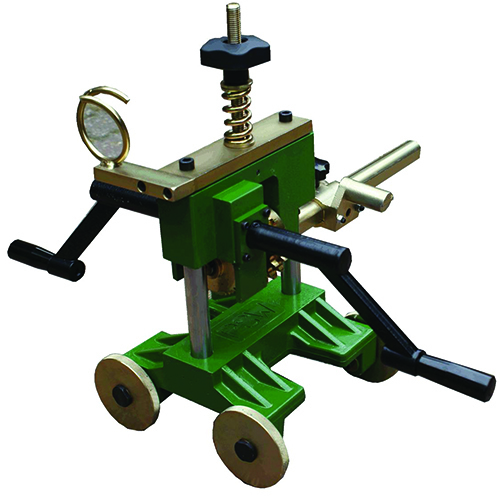 The Chain Beveling Machine is a flame cutting machine, designed to cut any diameter of pipe from 4″ to 24″. Incredibly easy to use, this chain beveler can be set up and ready to go in minutes. 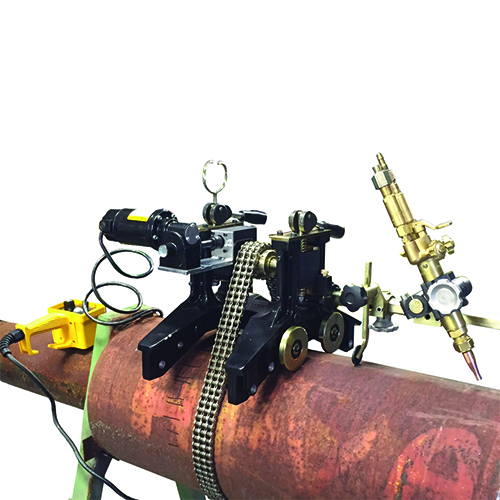 Easily adjustable, and with a high level of accuracy, the Chain Beveling Machine is a versatile tool for any pipe welder. The adjustable rack torch holder allows for the torch to be set exactly where it is needed, almost totally eradicating the need for grinding. Sawyer’s chain cutting and beveling machines are designed to be durable and hard wearing, needing only minimal maintenance and providing years of service. 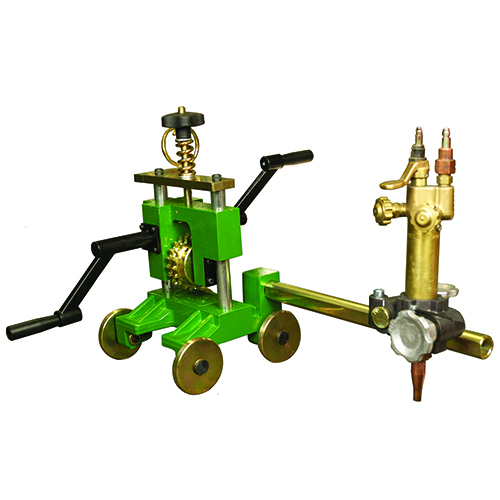 The Chain Beveling Machine is supplied with an adjustable rack torch holder, handles, and service key as standard. Optional extras include a 9′ flexible shaft cable, and 18V motorized kit, torch holders and chain kits to suit your application. 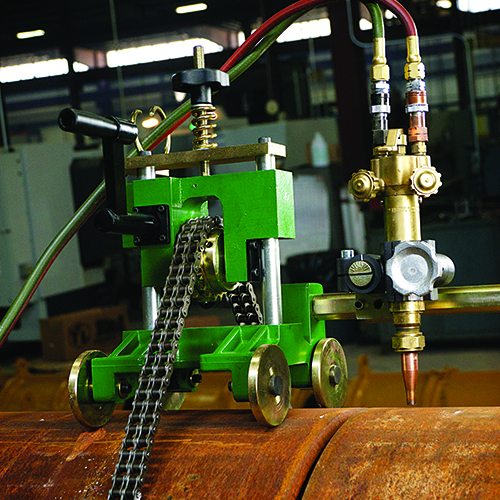 Adjustable Band guide tracks can also be supplied for additional accuracy, or to cut vertical pipes and vessels. 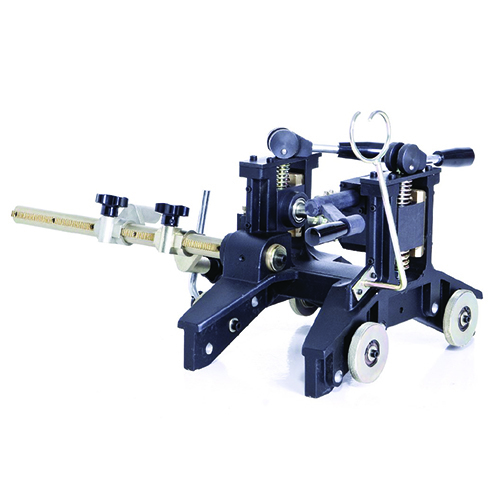 Manufactured in the EU, these Chain Beveling Machines meet all necessary safety specifications. All machines are subject to a rigorous inspection process before dispatch, ensuring a quality product, fit for purpose.